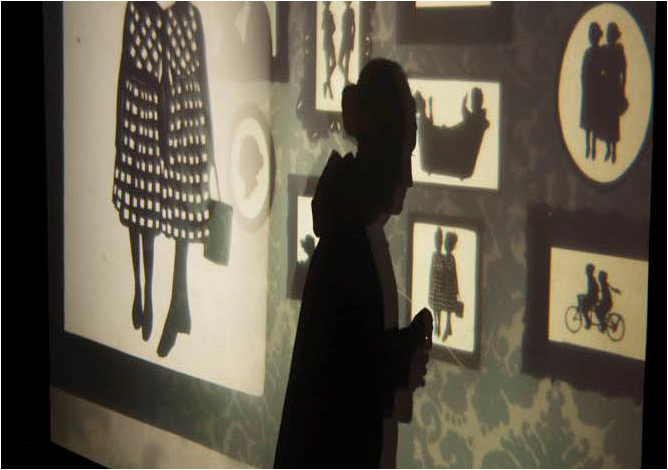 In their UK debut, presented with Underbelly Productions, Chicago-based Manual Cinema uses overhead projectors, actors, live music and hundreds of shadow puppets to tell a story of the fantastic and supernatural, exploring mourning, melancholy and self. Ada/Ava was recently nominated for a Drama Desk Award for Unique Theatrical Experience. Bereaved of her twin sister Ava, septuagenarian Ada solitarily marks time in the patterns of a life built for two. A traveling carnival and a trip to a mirror maze plunge her into a journey across the thresholds of life and death. Director Drew Dir comments, "This is a psychological thriller along the lines of Hitchcock's Vertigo, but it was inspired by the personal experience of witnessing my grandfather's mourning process after my grandmother's death, and seeing how his grief was expressed in small acts of daily routine. We've toured this show from New York to Tehran and we're excited to finally bring it to the UK and the Edinburgh Fringe!" Nearly three hundred handmade shadow puppets are manipulated on old school overhead projectors to create a live animated film. The projections in Ada/Ava are supported by an original musical score that's performed by a live ensemble of musicians. In making a story about identical twins, no dialogue was necessary as so much of the communication happens through shadow. Part ghost story, part suspense thriller, Ada/Ava is a very personal portrait of two characters.